Am I doomed to become my father? The statistics are sobering—children of abusive parents are likely to become abusers themselves. Children from divorced parents are less likely to be able to build a lasting marriage. A woman sighs, “My parents were so critical of me, and now I hear myself talking like that to my children.” Are we doomed to become our parents? Tempted? Yes. Doomed? No. You are not destined to any sort of sinful behaviors. Forgiven by Christ and renewed by the Holy Spirit, you now have power from God to choose your behaviors. King Saul hated the young upstart David, who had been anointed as the next king. Saul wanted his son Jonathan, the crown prince, to hate David too: “Saul’s anger flared up at Jonathan and he said to him, ‘You son of a perverse and rebellious woman! Don’t I know that you have sided with the son of Jesse to your own shame and to the shame of the mother who bore you? As long as the son of Jesse lives on this earth, neither you nor your kingdom will be established’” (1 Samuel 20:30,31). But Jonathan refused to imitate his father’s paranoia and cruelty. He saw God’s hand in David’s anointing and threw his support behind him, risking his life to help David flee. God’s Spirit has freed you to be you. Start experiencing more of the Holy Spirit’s power! Scripture is clear that the Holy Spirit is coequal with God the Father and God the Son. But all too often, Christians fail to give him an equal place in their lives. 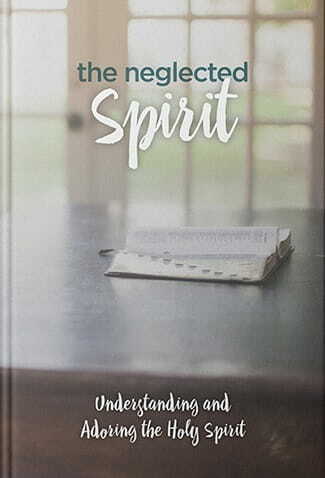 We want to help you make the Holy Spirit a daily part of your life—so you can experience more of his awesome, life-giving power—by sending you Pastor Mike Novotny’s book, The Neglected Spirit: Understanding and Adoring the Holy Spirit. The Neglected Spirit is our thank-you for your faithful support to share the timeless truths of God’s Word with more people. So request yours when you give. Thank you!